and the inside with a numbered guide to the participants. 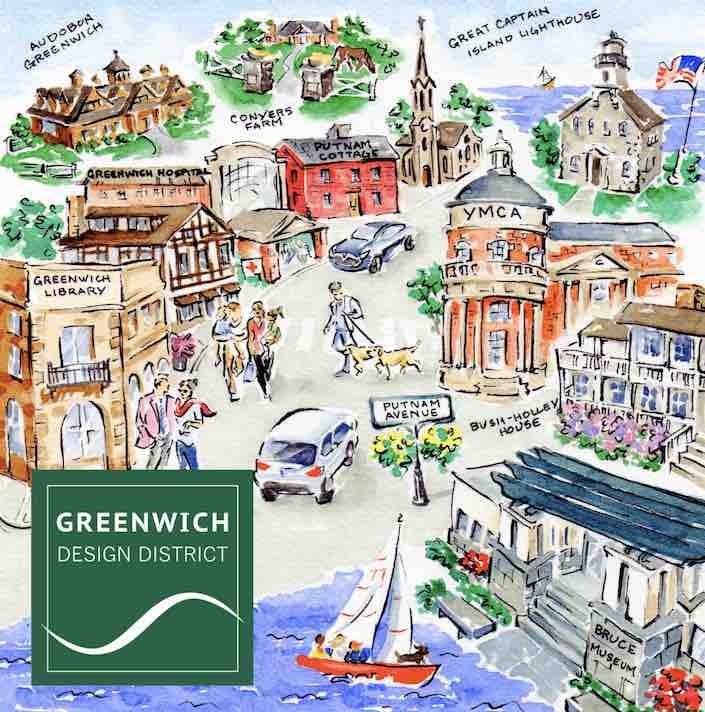 The inauguration of the GDD kicks off tomorrow (Wednesday, October 18) with their first event, a Taste and Tour of the Greenwich Design District. Maps are available at Circa Lighting, Farrow & Ball, Hastens, Home Boutique of Greenwich, Isabella Garrucho Art, Lillian August, Mitchell Gold + Bob Williams, Nanz, Oomph, Putnam & Mason, Remains, Room, The Shade Store, Waterworks, Carmiña Roth, Intérieurs, Togas and Christopher Peacock. From 4 pm – 8 pm, many of the shops will be holding special events where you can discover the latest in interior design, experience the flavors of fall, meet local artists, attend book signings and more with the chance to win many prizes. See the small print above for each shop. 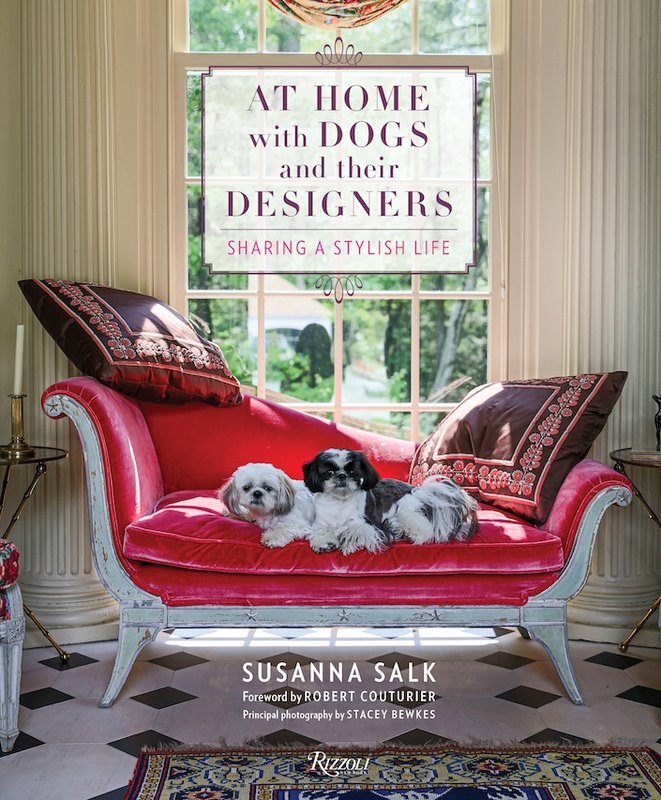 I am thrilled to say that Susanna Salk and I will be at Lillian August signing At Home with Dogs and Their Designers at around 7 pm. But do stop by before at 6:30 or earlier to see the vignettes Susanna has styled and hear her speak on one of her favorite topics – Decorating Fearlessly! 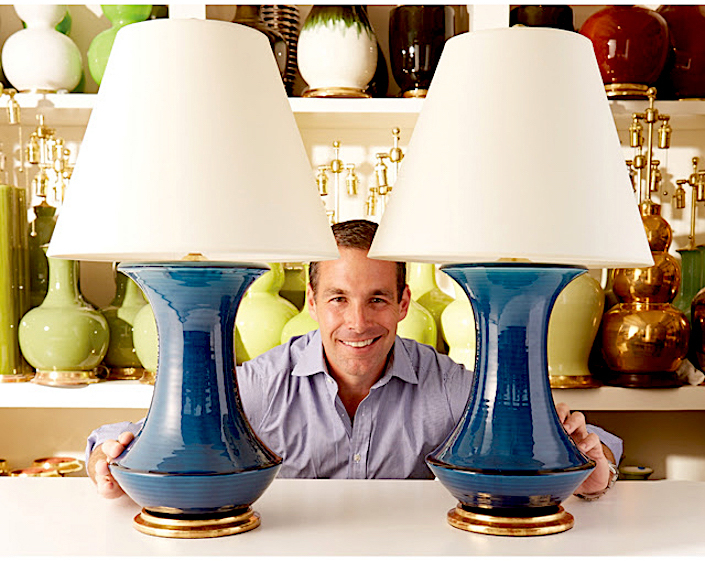 and Christopher Spitzmiller will be at Circa Lighting from 5pm – 7pm to introduce his beautiful new collection – his shapely Nota Lamp, above. And there’s much more! Thanks to event sponsors Karp Associates, New England Home Connecticut, Douglas VanderHorn architects and McArdles’s. Whether you live in the area or want a quick New England fall escape from NYC (an easy drive or train ride), hope to see you there – the weather is just beautiful!! Don’t forget to follow along on Instagram for real time fun! This entry posted in design. 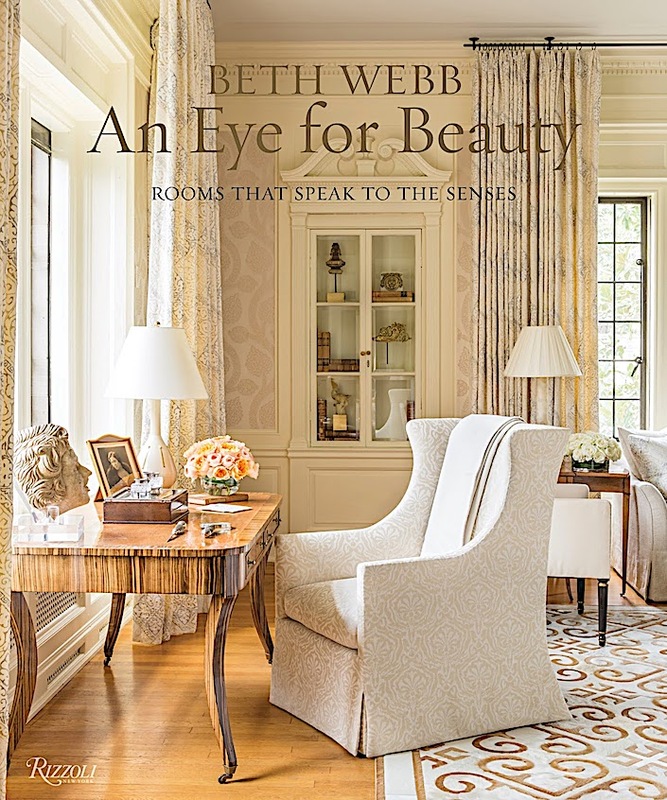 Entry Tags: Connecticut shopping, Greenwich, Greenwich CT, Greenwich stores, interior design, Shopping Bookmark the permalink. 81 queries in 0.365 seconds.